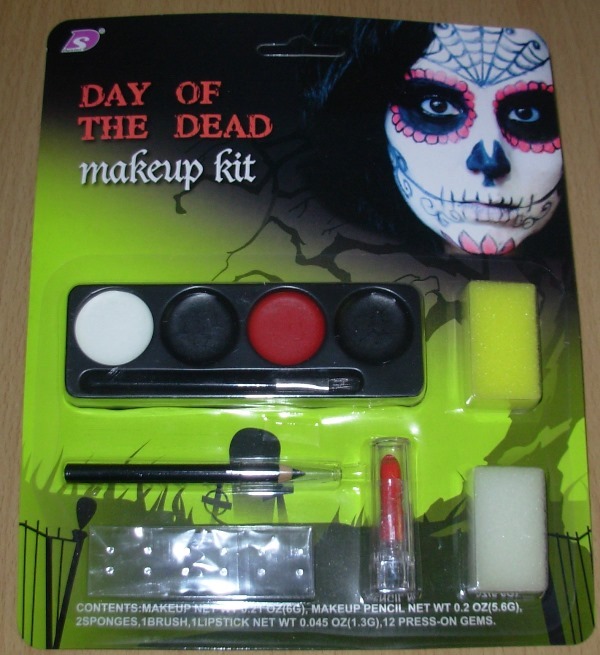 Pack contains a palette of cream paint – white, black and red with a brush for application. Two small sponges and a make-up pencil for doing thin lines. Included is red lipstick and 12 press on tiny gems.